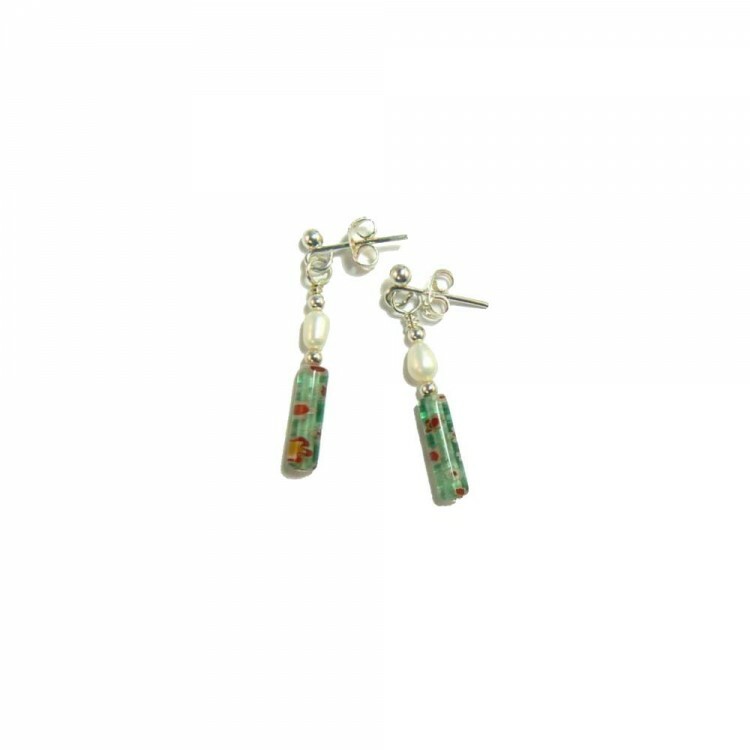 I have made these earrings using 14 x 4mm green Millefiori tube beads, the same as the beads used in the Millefiori and Pearl necklace. I have complimented the colour with 4mm rice shaped freshwater pearls to add to the delicate style. 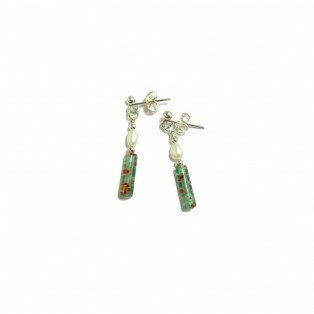 The silver plated earring posts and scrolls are "Nickel Free" to comply with EU regulations.